Has John Key received his letter from President Tong? How will he reply? His Government has done nothing to try to reduce our coal production in an effort to reduce emissions because of concerns about climate change. Its mismanagement of Solid Energy is testament to its ongoing faith in the coal industry. Right now, Solid Energy’s assets are being eyed by national and international buyers, including the permits Solid has for as-yet-undeveloped new mines. What are the options for Solid Energy’s assets? There are rumours that Indian coal giant Adani might buy the West Coast coking coal mines, but Adani is not in the business of coking coal. Its proposed (thermal) Carmichael mine in Queensland’s Galilee Basin is in trouble, as both the Commonwealth Bank of Australia, and British bank Standard Chartered, have walked away from the project, which would threaten the Great Barrier Reef where a new coal terminal is planned. 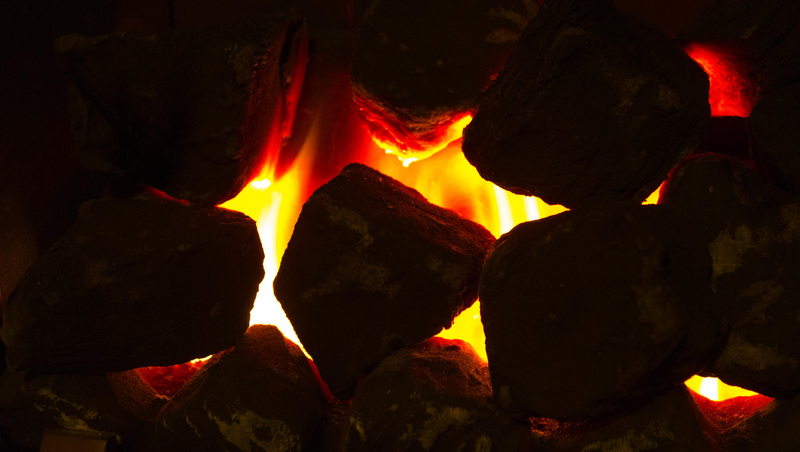 There’s talk that the Stevenson Group may be interested in some of Solid’s domestic thermal coal assets. This is the company that lost its contract operating for Bathurst Resources in Takitimu, Southland, because of Worksafe health and safety concerns, and is looking at opening a new mine on the West Coast. Ironically, Bathurst Resources itself is also reported to be interested in Solid Energy’s Southland mines. It is desperately trying to keep itself afloat through domestic coal sales, while it waits in vain for the coking coal prices to rise again so it can sell its coal from the Denniston mine. But while the vultures circle Solid Energy, what’s happening around the world? Banks have been hit by a failing coal industry from which an increasing number of financial institutions – such as the huge Norwegian Sovereign Fund – are walking away – divesting itself of $8bn of investments in coal. The Fund already divested from Bathurst Resources last year. Last Thursday, Goldman Sachs sold the last of its coal investments, exiting the coal business altogether. This week Goldmans has backed a new, $1 billion renewable energy venture with SunEdison. Back in NZ, TSB, stung by its Solid Energy hit, appears to think its investments in SOEs needs to be reviewed – perhaps it would be wiser to review its investments in coal. In Queensland, Australia, a mothballed coalmine previously worth AUD$624m recently changed hands for a dollar. 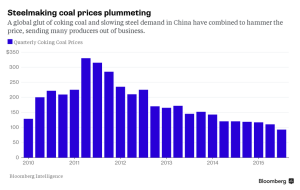 This recent Bloomberg graphic shows the sorry tale of how a global glut of coking coal and slowing steel demand in China is hammering the coking coal industry. The market may never pick up as the downturn in China’s steel use continues (and Chinese steel floods the internataional market) and it turns to its increasing stockpile of scrap steel. In the US, coal companies are in dire straights, with the share prices of its biggest companies: Peabody, Arch, and Alpha coal at rock bottom, with Alpha filing for a “chapter 11” bankruptcy status, following the way of dozens of smaller companies. That’s definitely the case for Genesis, which has now announced it’s going to shut down the dirty old coal-fired units at Huntly (something it forecast in 2009). This was a no-brainer for the company – the units were built in the 70s and, with the price of renewables coming down further, they don’t need to burn coal any more. Genesis is somewhat cynically capitalising on the clause in its contract with Solid Energy to get out of its future contracts with the company. It doesn’t need any more coal – it has a 700,000 tonne stockpile to burn, and renewables and gas are cheaper. Given that Fonterra’s coal use has risen 38% since 2008, he is not wrong about that being the source of strength in the domestic market. And the Government hasn’t lifted a finger to slow this use on behalf of the climate, and will no doubt soon be reporting increased emissions from coal use in New Zealand. We have no cap on our ETS and the Government subsidises any big emitters for their emissions – including Fonterra, which, in the absence of Huntly, will “step up” to become New Zealand’s second largest coal user. 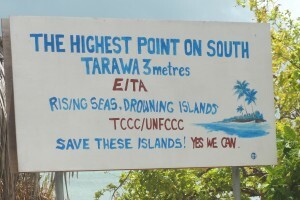 The climate change impacts that Kiribati President Tong is talking about are not limited to Kiribati. We’re heading into a monster El Nino, and the impacts are already being felt around the planet. Ocean temperatures in the Western Pacific are at an all time high. Last month, 1000 people died in an Indian heatwave; in Myanmar, they’re bracing for further floods after 1.3 million people were displaced last week. Whanganui is just beginning to recover from its terrible floods, and Agriculture Minister Nathan Guy just added $100,000 to the Government’s assistance for drought-ravaged North Canterbury farmers, and extended the drought declaration through until February. We need to reduce our reliance on coal, both in the export markets and domestically. 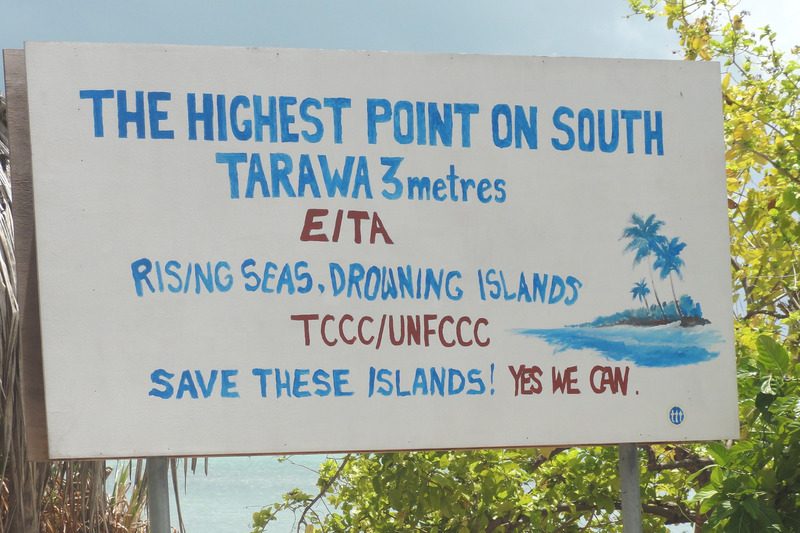 We need to listen to our Pacific neighbours. And if the New Zealand coal industry’s losers and long-term users won’t listen, then they need to be made to hear.